Say hey to AMY! CEO of The Dolls House Group. Senior lash and nail artist at The Dolls House, Amy is QUEEN of nail art and has people travelling miles to grab an appointment with her. When it comes to creativity there ain’t nothing Amy can’t add to your nails, and when she isn’t telling jokes, she is on hand to transform your nails and lashes 4 days a week at TDH. Amy teaches regular nail art courses which are guaranteed sell outs within 24 hours of release, if you’re a nail tech and you haven’t yet attended one, well, we don’t know what you’re waiting for! Again, with people travelling far and wide to attend and steal her tips and tricks, Amy’s nails are fast becoming a celebrity favourite and very soon they’ll be taking over.. you heard it here first! Oh Hey CHARL! CEO of The Dolls House Group. Senior make up artist and beauty queen at The Dolls House academy we have clients queuing to spend 45 minutes in her make up chair. 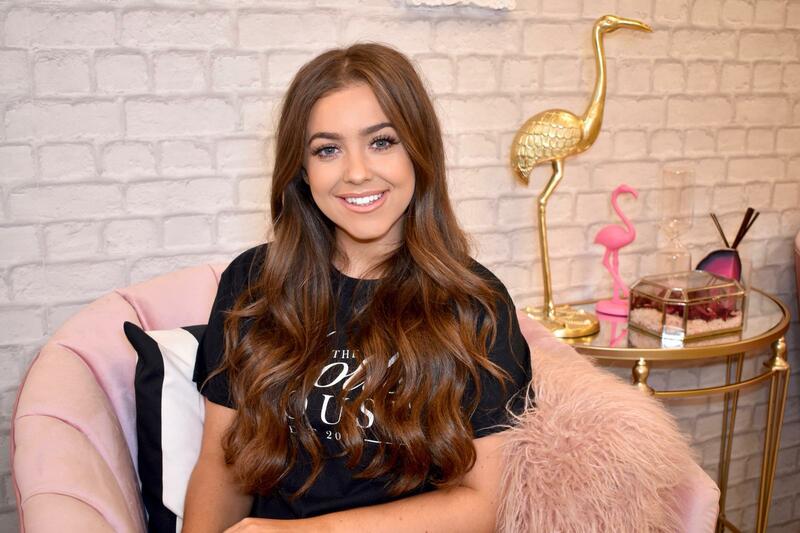 Beauty influencer on social media, there isn’t a thing Charlotte doesn’t know about skin, make up and beauty and her recommendations have been known to sell out the local Superdrug! When she isn’t doing treatments Charl is with her students – she teaches a variety of different make up courses at TDH with some amazing success stories. Some of her students even now work at TDH! So, if you attend one of her courses you’re onto something BIG. Our MOLLY dolly! CEO of The Dolls House Group. You know they say most people can’t be good at everything!? Well, Molly is the senior make up artist and beautician at TDH, she paints faces at weekends but through the week she waxes brows, does gel nails and her pedicures are to die for!!!! When she isn’t busy making big plans for TDH with the other CEO’s you’ll find her beautifying her gals 5 days a week as she shares her time across each TDH HQ. Her make up appointments are snapped up weeks in advance so we always recommend booking in with plenty of time – she really is a popular gal! Meet our day one dolly RACHY! Rach has been with us from the start, when the Doll’s House empire was merely a dream, and she’s been on the journey with us. Rach is our senior makeup artist in Maghull, she is the queen of GLOW , and she knows just how to make you feel special. Rach is like our mother hen, always there with a listening ear and arms to hug you when you need it. While she’s not busy glaming our Dolls up she’s the most perfect mummy to 2 gorgeous boys. Book in with Rach and we can guarantee you’ll leave feeling a millions dollars ready to conquer the world! Meet EMILY! She’s our Senior stylist at The Dolls House Academy. Fully qualified at level 1,2 & 3 she specializes in colours, cuts and styling. Never seen without a gorgeous smile on her face, Emily is new to The Dolls House team. 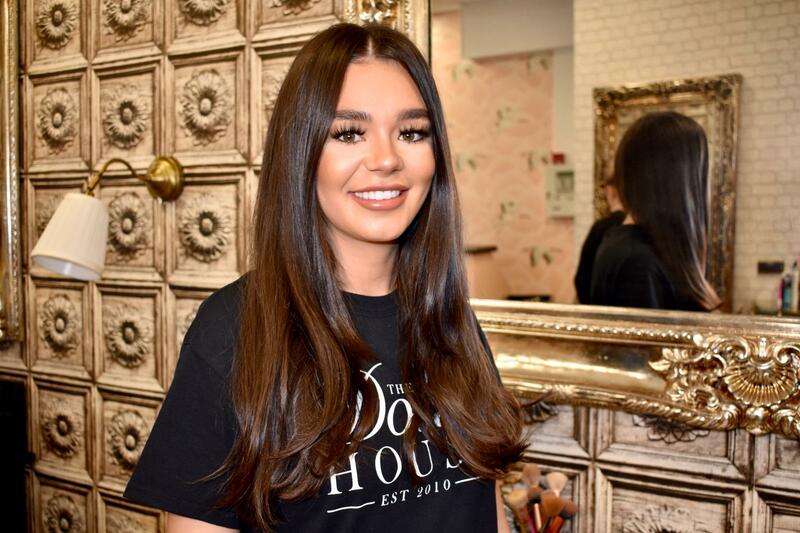 She has previously worked in a collection of locations including award winning Liverpool City centre salons – but she thinks her move to The Dolls House was the best one yet! From drab to FAB, she loves a challenge and is known for her killer balayage and super sassy wanding so if you’re thinking of a colour change or a chic new style then you know what to do! Emily is resident at The Dolls House Tuesday-Saturday and is a popular chick so make sure you book in advance! Introducing ALICIA! One of our senior makeup artists at The Dolls House Academy. 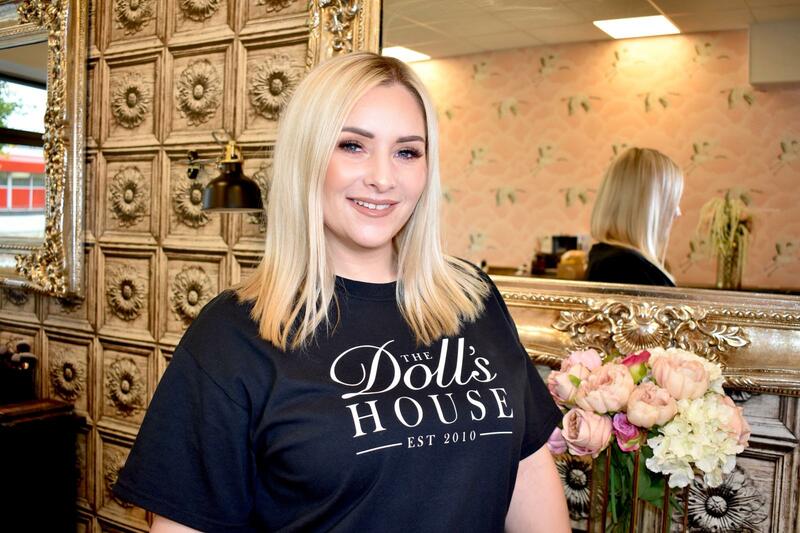 With over 10 years experience in the make-up industry, Alicia has owned her own beauty salon, and worked for some of the most prestigious beauty brands such as Chanel, Urban Decay & Bare minerals but she’s found her home in The Dolls House Academy and we’re so glad she did! 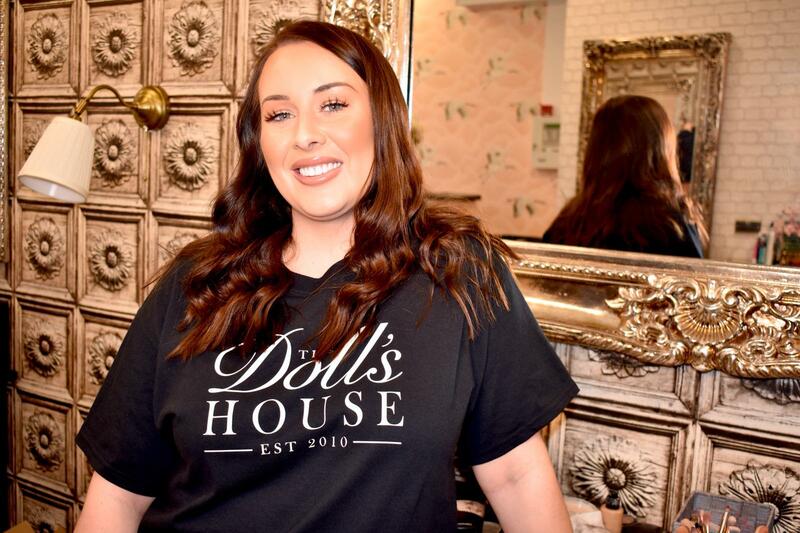 Full of hard working, motivated and inspiring young women, Alicia says the Dolls House is her perfect hideaway – when she’s not being an amazing mummy to her 3 gorgeous babies, Alicia is at her makeup station ready to make her girls feel Gorgeous!!!!! Versatile and creative – she’s a little bubble of energy, always attending new courses and training to learn new things… shes the most dedicated doll we ever did meet! You’ll find her painting faces at The Dolls House every Friday & Saturday, and on Fridays she does gel nails too! Dolls… meet LUCY! Or Lucy Lashes, as the TDH girls like to call her. 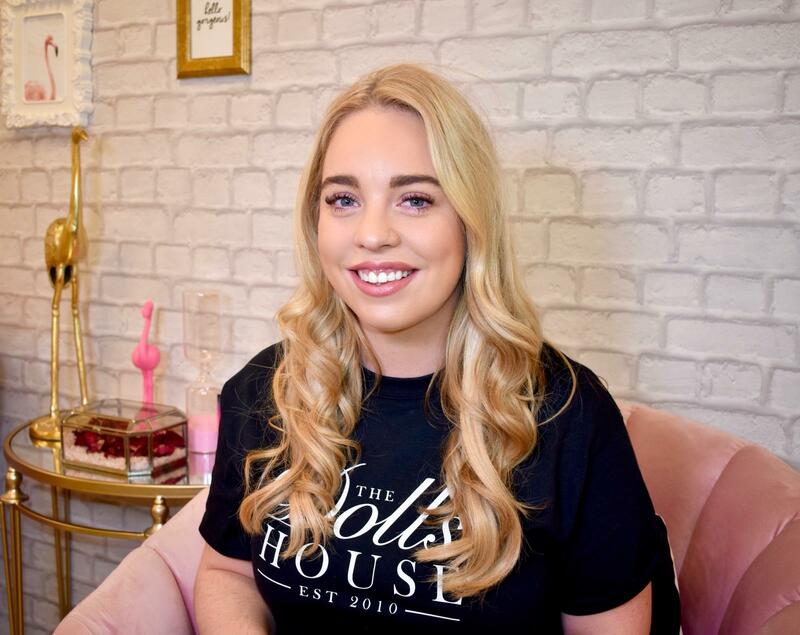 Lucy is our senior lash and brow artist at The Dolls House Academy, with us since day one she is our eyelash muse, there isn’t a thing she doesn’t know about lashes and she’s the biggest perfectionist we’ve ever come across! 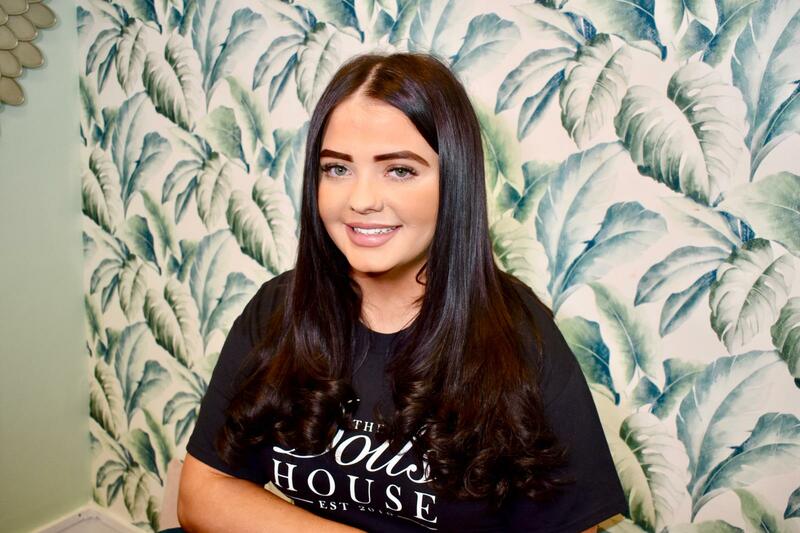 Lucy has over 6 years experience and has worked in a number of locations across Liverpool, including her home salon where she has built up a huge client base. Her clients are never shy to say Lucy has a very calming aura – she’s so gentle when carrying out her treatments so if you’ve had a busy day at work then getting your lashes done by Lucy is a real treat (free naps included with every treatment!) She’s in demand girls so we recommend you book in with Lucy in advance. Introducing LUCY (yes, another Lucy!) Our senior hair stylist at The Dolls House academy… and an absolute fruit loop! Lucy is the life and soul of TDH, we are pretty sure many of her clients return not just for her legendary curly blow dries but also because she makes every appointment a barrel of laughs – you know one of them people that you just met but feel you’ve known them for years – that’s Lucy! As we mentioned, her curly blows are phenomenal and if you’re one of those who hates washing their hair, they’ve been known to hold their curl for up to a week! She’s also highly skilled in colours and cuts so if you’re looking to escape for a fun filled pamper then Lucy is your gal. She is full time at TDH and she also works on Mondays with some fabulous offers for all those who struggle to grab an apppintment through the week – she’s got it covered! Say hey to our baby doll… LUCIE! Lucie is the social media content creator at TDH every Saturday, she also helps out with the overall running of appointments on our busy weekends and we don’t know what we’d do without her! 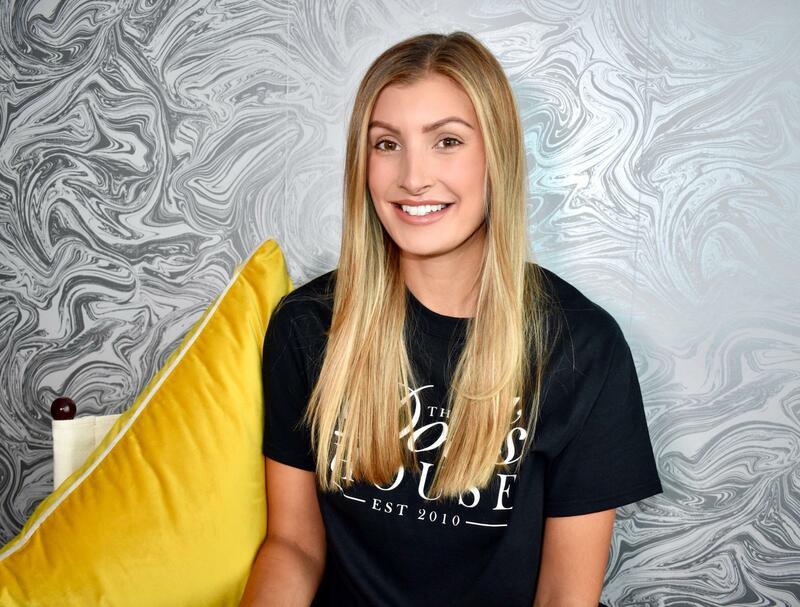 Whilst still completing her education, Lucie says TDH is her perfect escape to girly heaven, and she’s always on hand to take good care of our clients. 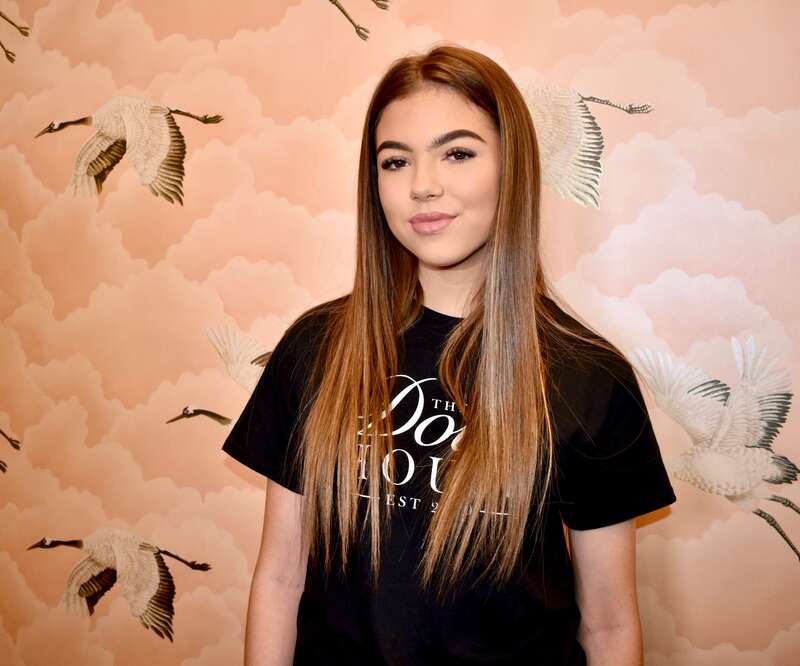 She loves all things beauty so we are slowly introducing her to different treatments and she attends some of our courses too – She is already proving to be an amazing make up artist! So watch this space… she’s with us for the long run and we cant wait to see her evolve in the beauty industry. Say hiiiii to MICHELLE! 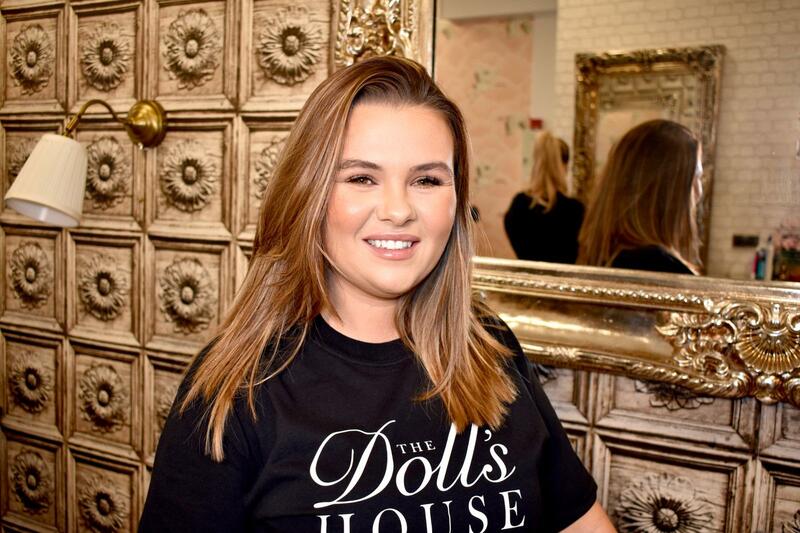 Another senior make up artist at The Dolls House Academy, Michelle is level 3 qualified and has over 6 years working experience in the industry, including once owning her own beauty salon. Amazing Mum of 3, Michelle says that doing make up is her ‘happy place’ and she loves all things make up and skin care – her signature look is soft glam! When she isn’t painting faces at weekends, Michelle is teaching courses and 1-1s. 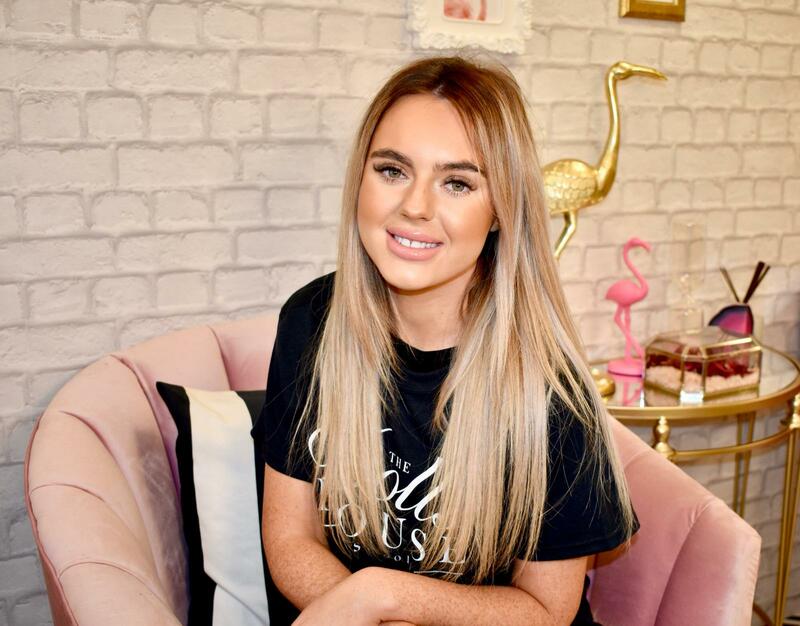 She’s so positive and bubbly her students LOVE the courses and its amazing to see the looks created by all of her students, especially her under 18s! Always smiling and happy to be at her make up station, Michelle will make you feel a million dollars, we’re so glad she’s ours!! Introducing HAYLEY! Senior Make up Artist and Mum of 3, when she isn’t painting her gorgeous girls faces for their dance shows, Hayley is making over the glamorous ladies of Liverpool at The Dolls House Academy. Whether shes at home or at TDH Hayley is surrounded by all things GIRL POWER so she’s the perfect fit into TDH team. Hayley once owned her own beauty salon with BFF MUA Alicia, so she has tons of experience and knows how to work hard! Her mothering instincts often take over so whilst she looks after all of TDH girls (mum of the group) we’re sure she will look after you too and you will leave feeling refreshed and fabulous. Meet our newest doll MELISSA aka Liverpool Lash Aesthetics. Melissa has been working in the beauty industry for 5 years specialising in lashes and brows and can we just say, she is super talented. Melissa offers a range of treatments including lash extensions, lash lifts, facial waxing and tints. Wether it’s a chat or a nap you need, she’s got you convered. Meet our dolly … JEN. Jen has worked at our Maghull salon since February of this year and says she wouldn’t want to be anywhere else. Jen is the absolute go to gal for that FLAWLESS look she is super talented and super cute you just wanna squeeze her ! She’s the ultimate gal that loves bigging us and her clients up, making everyone feel special , guarantee you will walk out feeling a million dollars , she will also melt your heart immediately. We absolutely LOVE her passion towards makeup! Meet our cool little LOLA. The quirkiest girl who is actually the best intimate Waxer in the whole universe.. no exaggeration. There’s no part on the body Lola doesn’t wax, and she promises to get every last hair too. Her aftercare advice is second to none and her knowledge in waxing is extremely impressive. Not only is she the best Waxer but she’s skilled in so many other things too. Lola offers lash services and also the best microdermabrasions on the market ‘crystal clear’. Her beauty room is her happy place, which she loves to rearrange at least 7 days a week, but we love how she has made is so cosy and calming for all her clients. She’s so welcoming and puts your mind at ease as soon as you meet her. You will not even know you’ve been waxed until it’s time to pay, Her facials will have you in a deep sleep too, she’s just magic. Meet our other baby dolly… AVA! Ava is also our social media content creator at TDH for our Maghull salon every Saturday and helping us out with welcoming our clients whilst we are rushed of our feet and can we just add she is the CUTEST thing we did ever see , we would be at loss with out our dolly day dream ..
Whilst Ava is also in education she loves all things beauty and is really passionate about it and we’ve got a really good feeling she’s going to be the next up and coming lash Queen .. watch this space with our baby dolly’s! The dolls house wouldn’t be we’re it is today if it weren’t for this girl! Becky founded the Doll’s House Salon back in 2010 and trusted us to take over her baby in 2016 to make it into what it is today. She knew she could trust us and we’re forever grateful. Becky is the ultimate lash & brow queen and there isn’t much this girl can’t do with perfection, she has so much work ethic with the most beautiful soul you will fall in love as soon as you meet her.. whilst juggling a very busy work life she is a mummy to the prettiest little girl Violet Nancy, who is just as perfect as her moma. 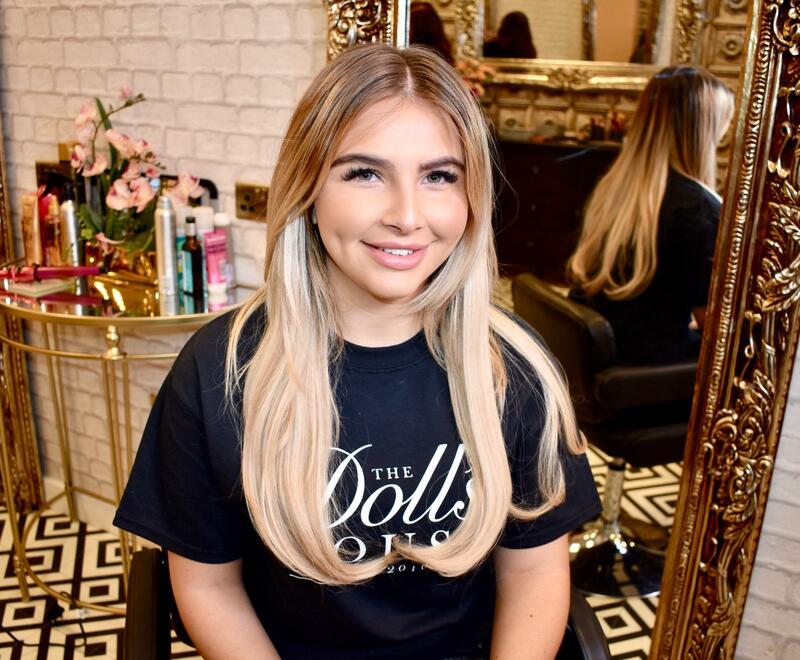 Rebecca takes all of her own appointments as she’s in super high demand, the best was to book in is to call the Maghull salon on a Wednesday or Thursday to speak to her direct ..
Meet HELENA the newest member to our ever growing dolly house. Helena isn’t just a new doll, she was one of our loyal clients until she decided to become a MUA. Helena attended Charlotte’s 4 week makeup school and we just knew she had what it took to be a makeup artist in our salon , we couldn’t wait to have her in our gang. Helena is so passionate and is always putting her skills to the test, there’s no makeup look Helena won’t try. She’s the ultimate chatter box too, who would talk to a brick wall if she had to. Helena Is mummy to the cutest little doggy in the world “George Michael” .. can you guess who her idol is ?? Our girl LOIS! Perfectionist when it comes to lashes – it’s all she knows and with 3 years experience you can certainly put your lash trust in her hands. Lois joined The Dolls House team recently because she just LOVED our girl power vibe. She says she was shy at first but it didn’t take her long to come out of her shell and the lash room now wouldn’t be the same without her on that far seat! That’s when she’s not wining and dining her grandad whose her best friend….. we just love how kind hearted she is! She’s the glammest chick on the block! She comes to work every day and dazzles her clients with her full contour and curly blow! And her lash glam is on point too! So if it’s Russian or hybrids, classic or volume – Lois has you covered. Meet our gorgeous CHARL AKA “oh my lips” our fully qualified & cosmetics insured, Registered Adult Nurse with over 5 years acute experience in the NHS. Charlotte entered the Aesthetics industry in 2017 when She trained with McAesthetics mastering their signature point. Oh My Lips Aesthetics was formed in August 2017 & earlier this year She enhanced her skill set by continuing to train in order to offer Anti-Wrinkle injections & basic dermal facial fillers. Charl has also recently attended a ‘Lip Masterclass’ & been a part of a ‘Complications workshop’ to ensure That clients are offered the best results & issues can be resolved, should they arise.